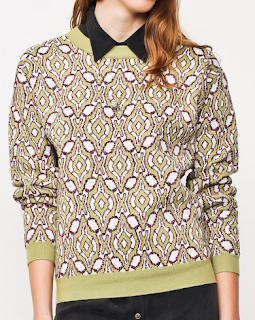 This is one of those kinda ugly, kinda fabulous sweaters that make a super statement! Chartreuse and metallic purple, together at last??!! If you like to stand out, buy at Dear Fieldbinder for the sale price of $65.